As a resource to promote best practices throughout Nebraska, MENTOR Nebraska provides several fundamental training and assessment tools at no cost to mentoring programs. 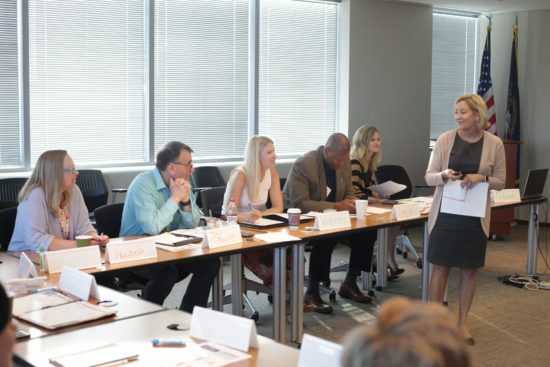 These training opportunities help mentoring programs gain the support and resources they need to provide high quality mentoring experiences. 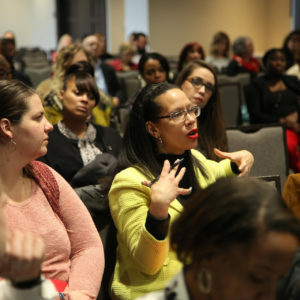 Training topics focus on the best practices of mentoring, screening mentors for safety concerns, trauma-informed care, and mentoring youth of color. This training covers best practices for mentor program design, management, operations, and evaluation. Content provides school, community, and faith-based teams with tools to design a quality mentoring program based on the Elements of Effective Practice for Mentoring™. This training also provides a solid foundation of knowledge regarding mentoring best practices for recruitment, screening, training, matching and initiating, monitoring and support, and closure. Tuesday, February 12, 2019, 9 a.m. - 3 p.m.
Wednesday, August 14, 2019, 9 a.m. - 3 p.m.
Wednesday, November 20, 2019, 9 a.m. - 3 p.m. The SAFE training helps evaluate current methods and offer suggestions for strengthening mentoring program practices. 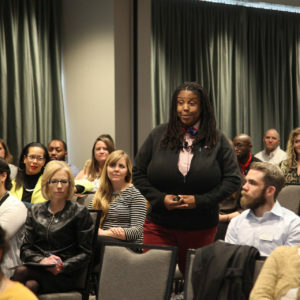 The workshop focuses on characteristics of child predators, the grooming process, and red flags that will cue programs to take a closer look at potential mentors and ensure they are the right fit. Participants take away tools and approaches for the screening process that range from first contact with a potential mentor until long after the match is made. Wednesday, January 16, 2019, 9 a.m. - 4 p.m.
Wednesday, April 10, 2019, 9 a.m. - 4 p.m.
Wednesday, July 17, 2019, 9 a.m. - 4 p.m.
Tuesday, October 8, 2019, 9 a.m. - 4 p.m.
Trauma-informed mentoring is an approach to engaging youth in mentoring relationships with histories of trauma that recognizes the presence of trauma symptoms and acknowledges the role that trauma has played in their lives. 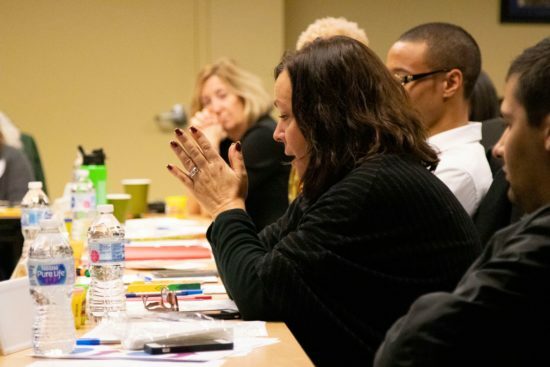 This training will cover how trauma affects youth, what trauma informed care is, how to create safe environments for youth, and ways to avoid re-traumatizing practices. In order to build authentic relationships with Black and Latino young men, mentors must delve deep into their own power and privilege, unpack their own biases, and understand how to manage and use them in a mentoring relationship. 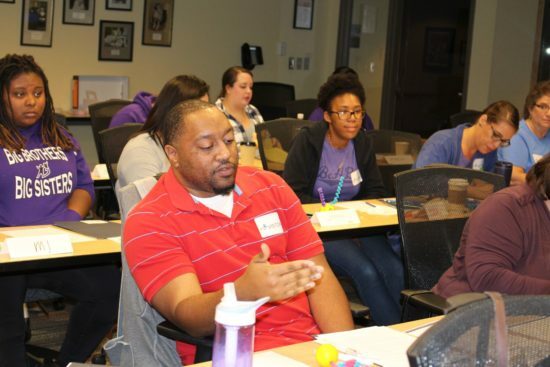 In this training, mentors will become more deeply aware of and reflect on their own power and privilege, and gain skills and strategies needed to develop authentic relationships with Black & Latino young men. Mentors will learn how to support Black and Latino young men in their journey of empowerment with evidence-based strategies, and work positively towards structural change. Tuesday, February 26, 2019, 9 a.m. - 4 p.m. 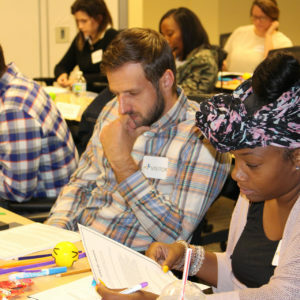 The Askable Adults Matter training is designed to help youth-serving professionals and mentors become more approachable and knowledgeable in order to address basic questions and refer youth for reproductive health care when needed. The training is committed to providing medically-accurate, culturally-inclusive, age-appropriate information and education related to reproductive health and healthy relationships. The training also promotes healthy communication between adolescents and their parents, families and trusted adults to help them make informed decisions about their reproductive health and relationships. Saturday, February 2, 2019, 9 a.m. - 1 p.m.